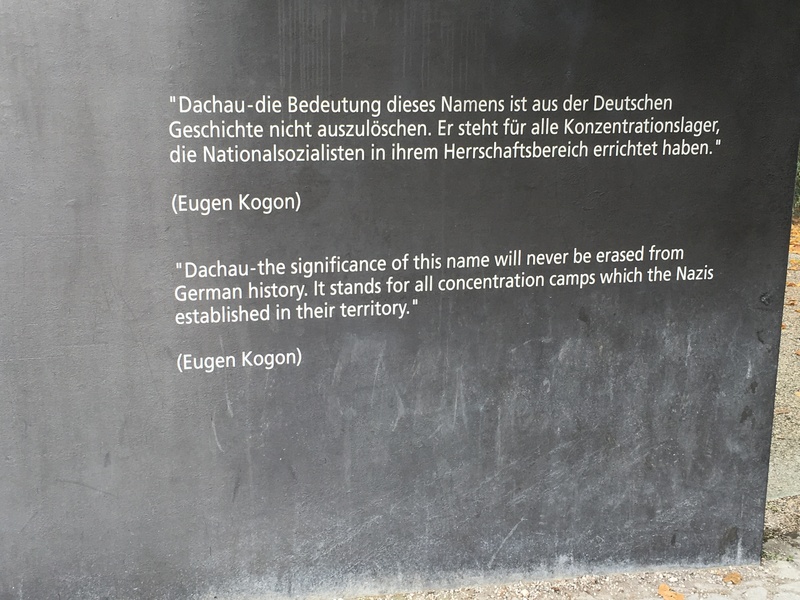 Patrick and I went to the Dachau concentration camp yesterday while Jamie had a day at the park with the kids. There are obviously some things they are too young to understand and we felt it would have been inappropriate for the other people there to have them tagging along. I was very glad they stayed behind. They ended up having a fun day on their freshly unpacked scooters and Patrick and I were able to take out time and really read each display we went by, sometimes just stopping to reflect. 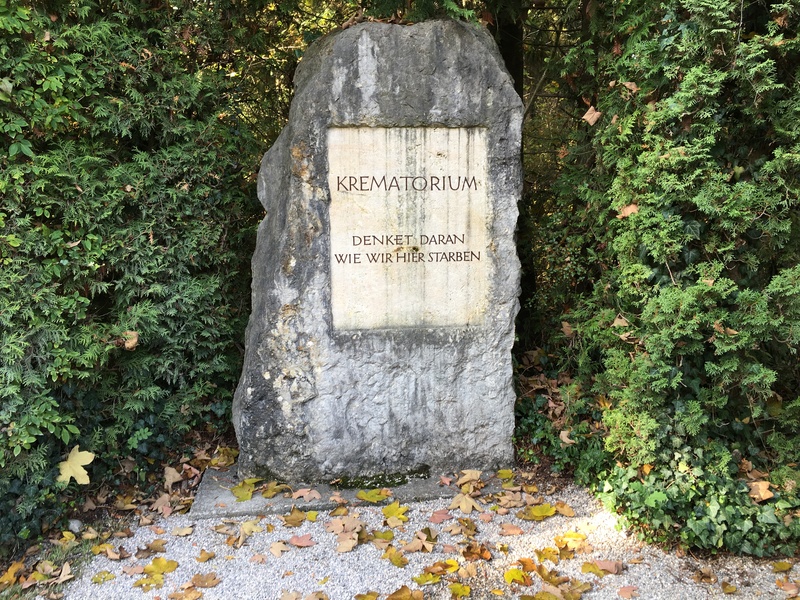 This post isn’t going to be about Dachau. 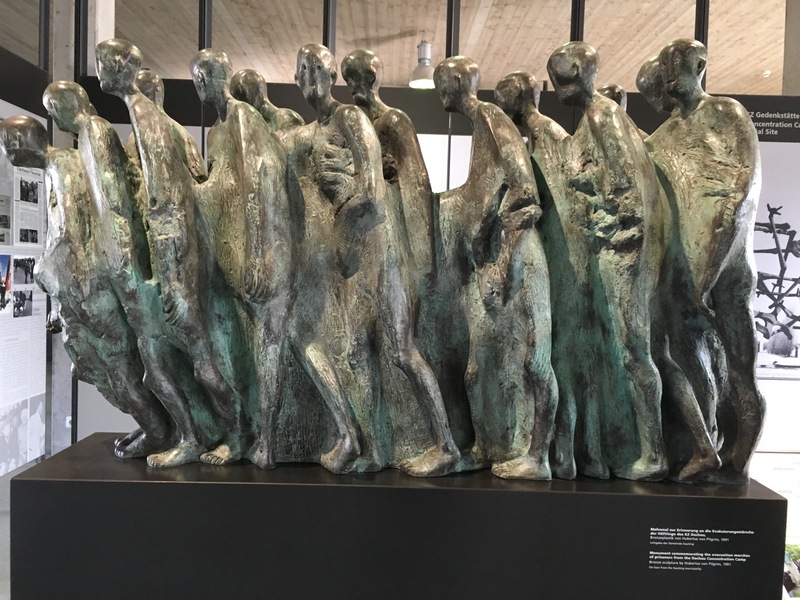 What could I possibly add to the dialogue that already exists around the holocaust? It is something so horrible and difficult to understand that anything I think to say sounds ridiculous. It was sad, it was scary, it was horrifying. It was all of those things. It was confusing and frustrating and so horrible that I don’t think we can really comprehend it. But I am so glad we went. We went to Normandy a few years ago visiting the beaches, the war memorials, and the cemeteries made the stories of WWII feel recent and alive. 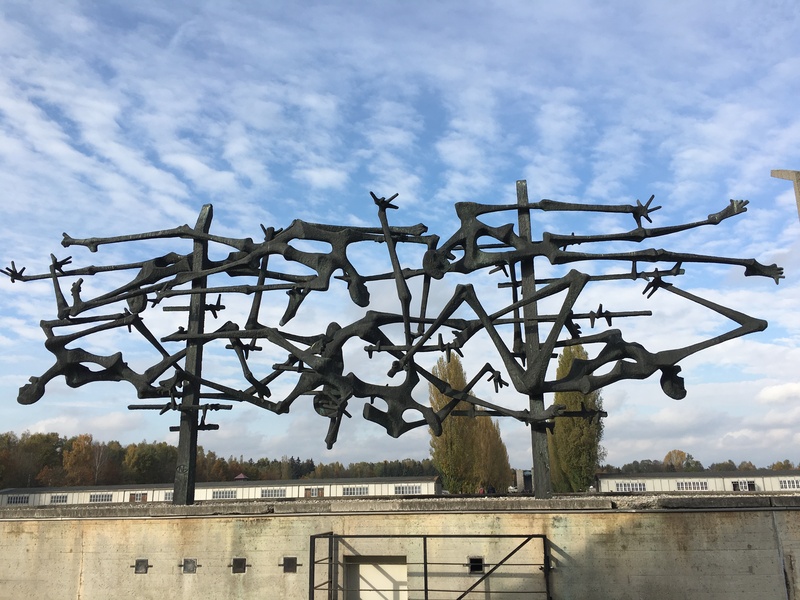 I was fortunate enough to visit Auschwitz back in 2001 and it made such a large impression on me, Jamie had been to Dachau on his first trip to Munich, and we felt it was an important thing for Patrick to see and try to help him understand. Growing up in the States a generation removed from WWII I think it can feel like something that happened a very long time ago. We are not only a generation or two removed but there were no physical signs of the war growing up. In England it surprised me to hear reference to areas destroyed by the war or friends whose parents still had habits left over from the days of strict rationing. The war was history but very recent history. Since arriving in Munich I noticed that there are buildings that are ornate and gorgeous and then other buildings that are just large cement blocks. The woman I did the house hunting tour with explained that the cement blocks are all of the post war building, the originals were destroyed in the war. So walking down the street, or straße I should say, it is clear what areas experienced more destruction than others. There are many things we have loved about each place we have lived but in Europe each city’s history is on full display. Whether it be castles, Schloss, or the statues that are scattered around the cities. It has enriched Jamie and I but more importantly as Patrick finishes high school and goes into university, I hope, we are giving a different perspective to understand the events he is learning about. As you walk through and realise that the camp was in a town and it really wasn’t that long ago it makes you think long and hard about what the people must have thought or known. Hopefully it also helps shape all of our perspectives on current events as well.